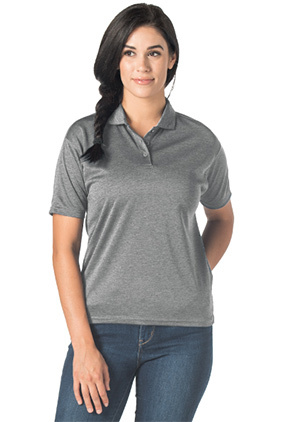 Stylish and trendy performance heathered polo. 100% performance polyester, 4.8 ounce PLAYDRY® moisture wicking fabric with plaited birdseye mesh on the inside. Three-button placket with self collar with even hem. Reebok heatseal on left sleeve.